Frank Chodorov profoundly influenced the intellectual development of the post-World War II libertarian/conservative movement. 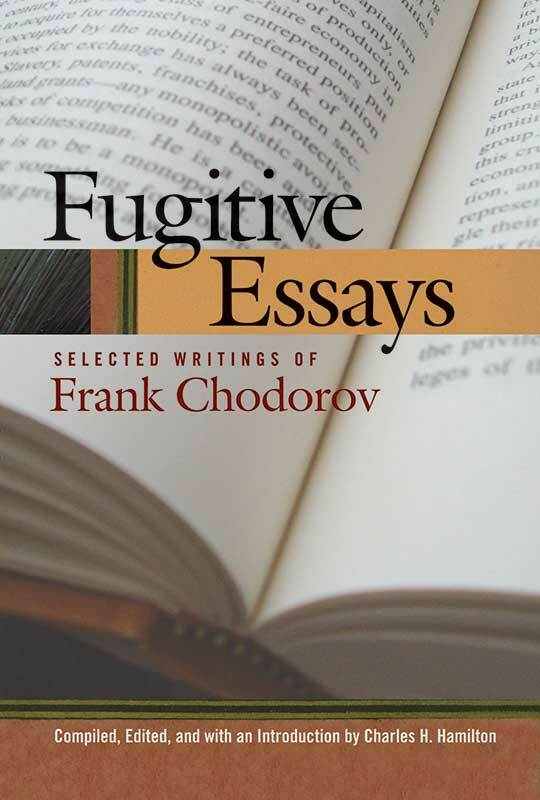 These essays have been assembled for the first time from Chodorov’s writings in magazines, newspapers, books, and pamphlets. They sparkle with his individualistic perspective on politics, human rights, socialism, capitalism, education, and foreign affairs. Introduction, foreword, select bibliography, index.